At "Camping Auf Kengert" there is a large outdoor playground, on sea sand, where your children can let their imagination frolic whilst playing. In the meantime, you will relax on the terrace with a drink or an ice-cream. A small maze made out of local shrubs is just next to the playground. The play area is open to everybody, not just for the camping guests, from March 1st till November 8th every day. 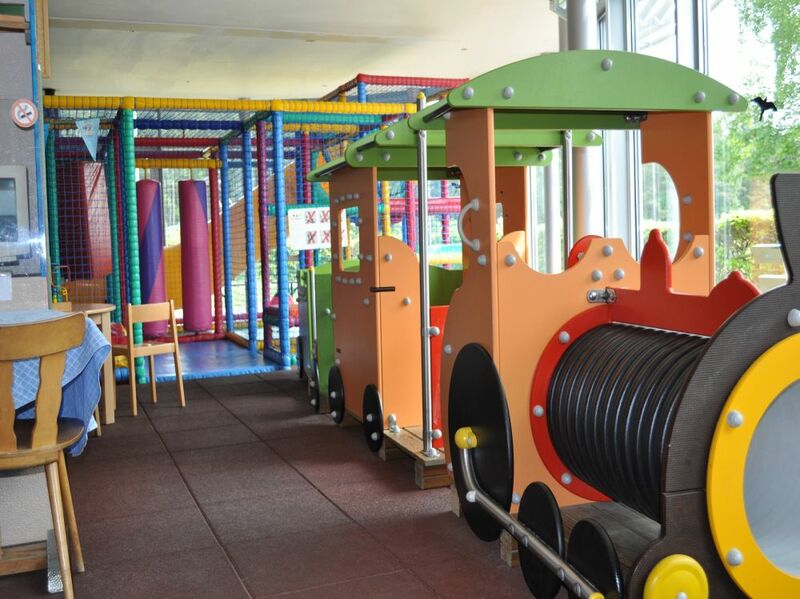 Directly next to the restaurant is an indoor playground, where you children can enjoy themselves whilst waiting for their meal. There are also formulas for children’s birthday parties whole the year around, please check on the website for details.